Infrastructure | Park View, D.C.
Travoris Culpepper, Pepco’s Public Affairs Manager, sharing information and taking questions. As part of Pepco’s larger efforts to increase service and reliability to the District’s electrical system, Pepco began the Harvard Distribution Project in October of 2018 to provide load shedding to the Ft. Slocum Substation as well as preliminary work to upgrade the Harvard Substation. Thus far, construction has primarily been along W Street, NW, between 13th and 10th Streets. Much of this work has been done and construction should be completed on W Street by the end of January 2019 (weather permitting). While this all sounds good, the construction on W Street has been extremely disruptive, with residents along the project describing extreme noise and vibrations causing cracks in their home’s plaster and mortar. 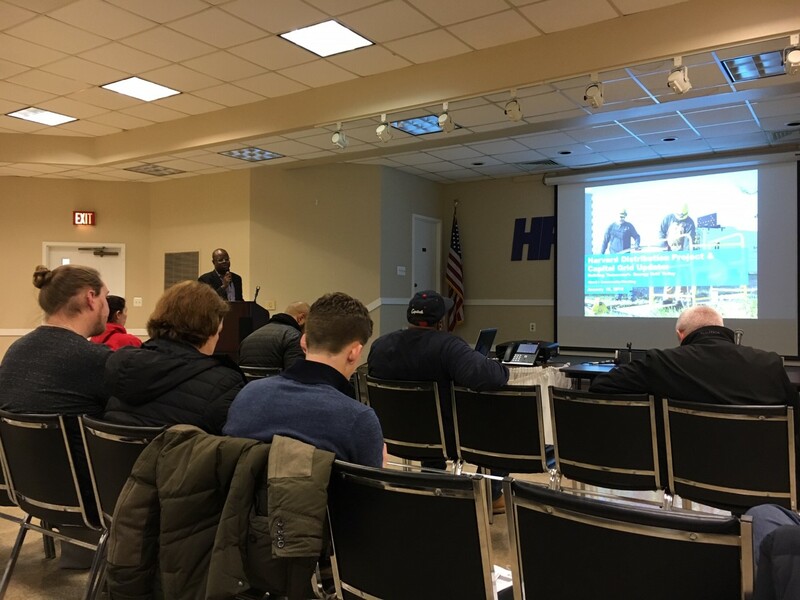 These concerns resulted in Pepco hosting a community meeting on January 15, 2019, to provide an overview of the project’s timeline, address concerns, and provide a general idea of what to expect in the coming months and years. In response to feedback Pepco received concerning the work along W Street, NW, Pepco stated it heard the residents loud and clear. They will work with their crews to address noise as much as possible. They confirmed that most of the digging along W Street is completed, but that there are still steel plates in use. To dampen sound, they have begun putting wood chips beneath the plates. As Pepco moves forward, they will also consider excavating smaller sections when they have to cut into the existing pavement. For the Harvard Distribution Project, the basic timeline, route of construction, and how they are parsed by section can be seen in the illustration below. 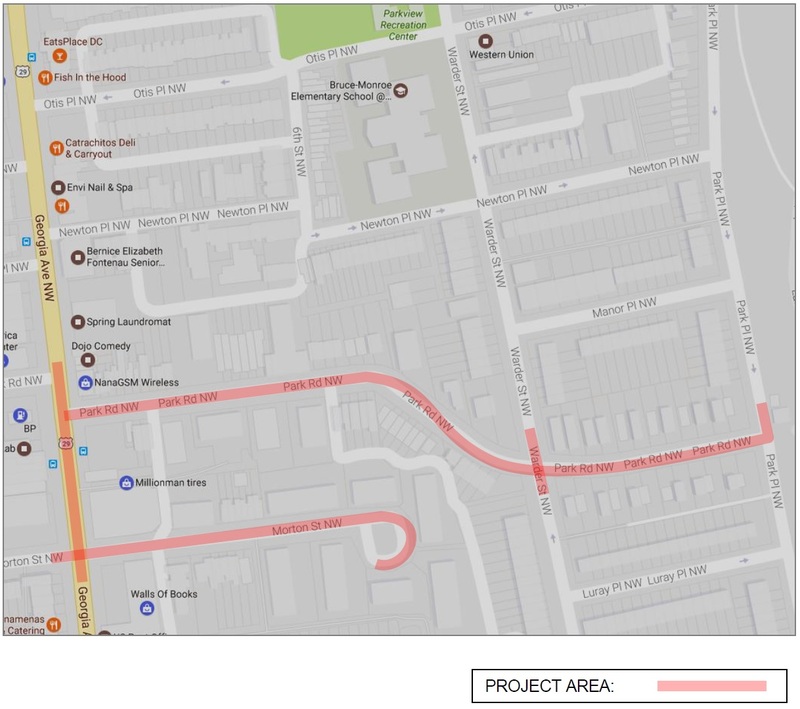 Construction began on W Street in October 2018, and the project will run through Summer 2019 — impacting Sherman Avenue, Girard Street, 10th Street, and Harvard Street. The project will also be used, as part of the Capital Grid Project, to supply the Harvard Substation load in advance of the substation rebuild. Set details about the Capital Grid Project’s timelines were not available at the meeting due to the case still being under review by the Public Service Commission. 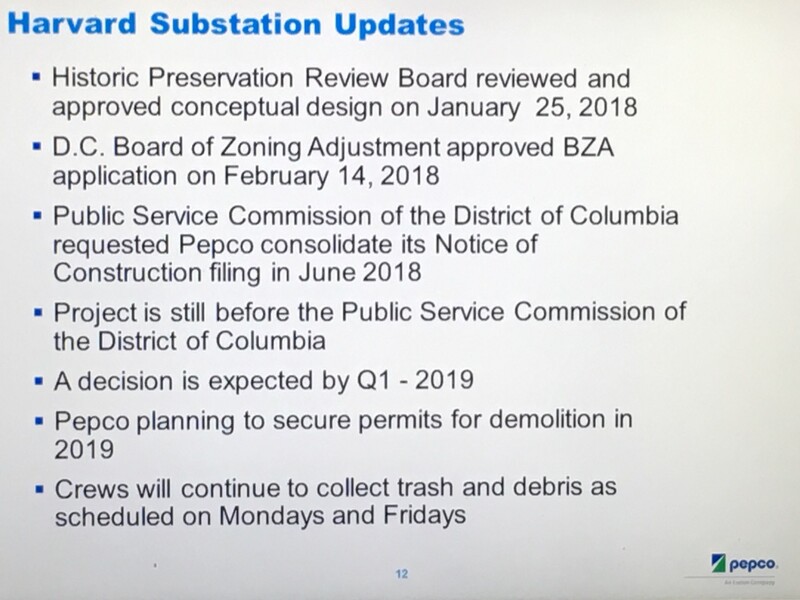 That said, Pepco thinks the timeline for the Harvard Substation rebuild/replacement will be similar to what is shared below, with demolition happening perhaps by the end of this year, construction in 2020, and completed in either 2020 or 2021. One significant point that was raised by Darren Jones of the Pleasant Plains Civic Association at the meeting was the concern about power outages. Pepco addressed the need to cut electrical service when the new cables and substation are eventually brought online. Pepco representatives were unable to estimate when the power would need to be disrupted, or even for how many people, but stated that once the Public Service Commission has finished with their review and they have a better idea on that aspect of the project, they would be able to better calculate when the outage will occur and what the size of the area will be. Generally, a planned outage will occur overnight beginning around 11pm and last for 4-6 hours. Scheduled outages are necessary when new cables are hooked up and will be necessary when a rebuilt Harvard Substation is completed and connected to the system. Pepco restated their commitment to work with the community and provide notice to households that they expect will be impacted. Jennifer Kuiper of the Lower Georgia Avenue Main Streets specifically addressed how service disruptions can severely impact small businesses like the ones on Georgia Avenue and requested that Pepco meet separately with small business owners to help ensure that their concerns are heard and needs met. Pepco stated they would definitely do this. More information will be forthcoming once the Public Service Commission has finished their review of the Capital Grid Project. For now, it looks like most of the construction will be south of Columbia Road and predominately on Sherman Avenue. Damaged sidewalk in front of 513 Kenyon St., where the asphalt patch had failed. 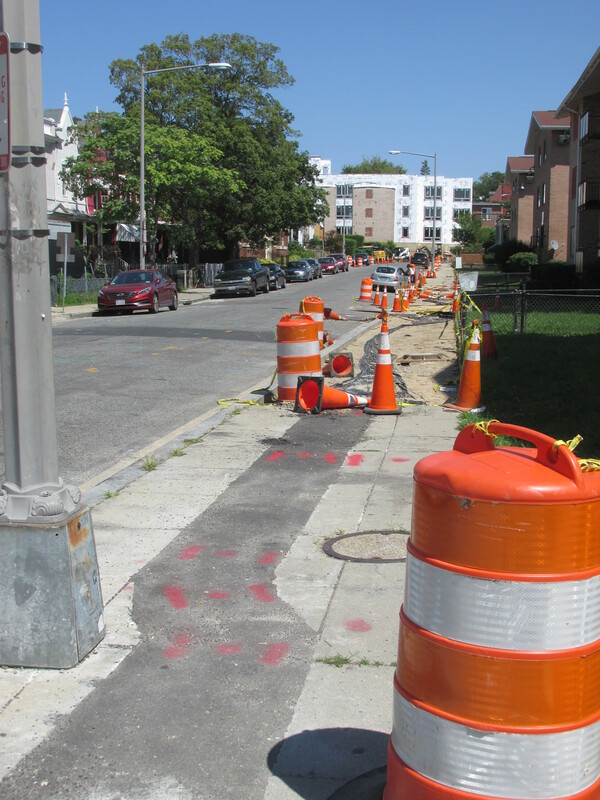 Both the District Department of Transportation and DC Water acted quickly last week to make sidewalk and street repairs on Kenyon Street. On Thursday, November 2nd, I meet with a neighbor on Kenyon Street to discuss the condition of the street in the vicinity of 511 Kenyon, where utility work earlier in the year created a situation where the road was uneven and caused larger trucks traveling down the street to bounce and be noisy. It was clear upon inspection that the asphalt patch in the street was failing and creating a speed bump type of situation. 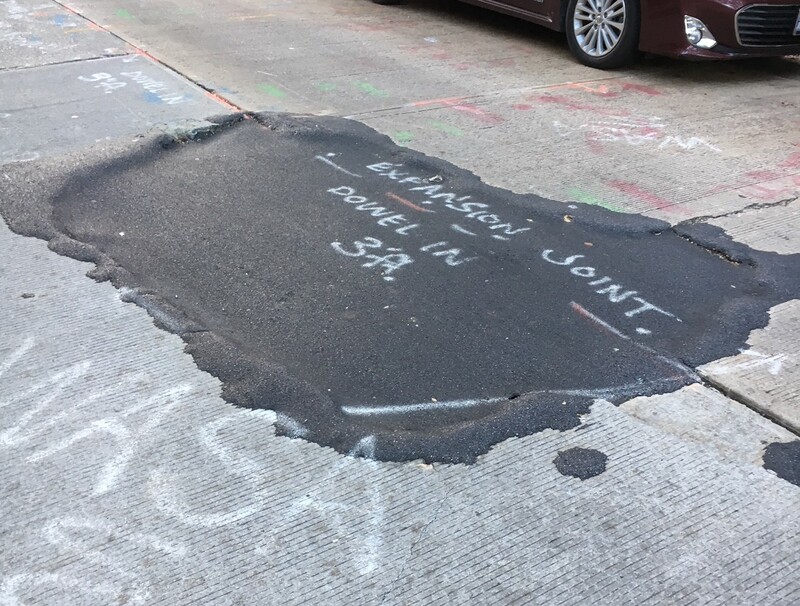 Upon visiting the street, we also noticed a break in the sidewalk near 513 Kenyon Street where a cut had been made for a utility line and the asphalt patch there had also failed creating a sunken trip hazard. In both cases, action was taken quickly following my report. 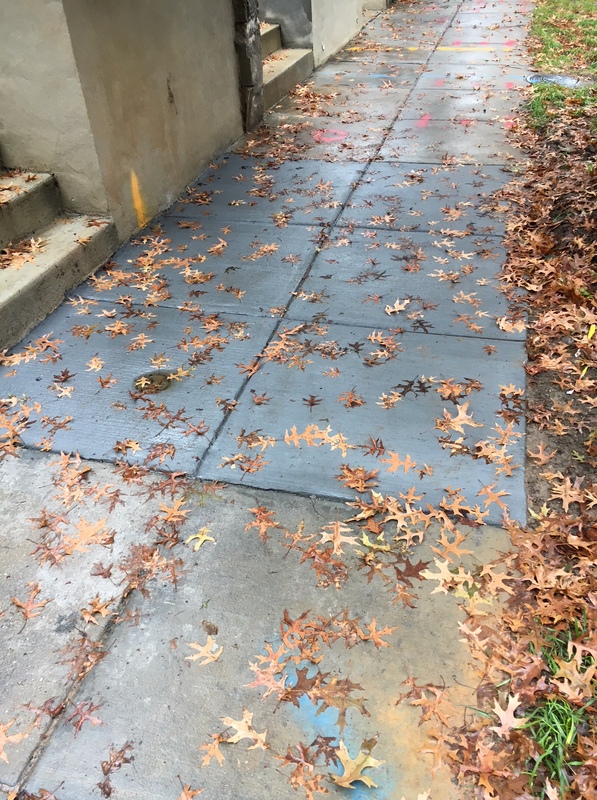 DDOT removed and replaced the broken sidewalk area within 24 hours. 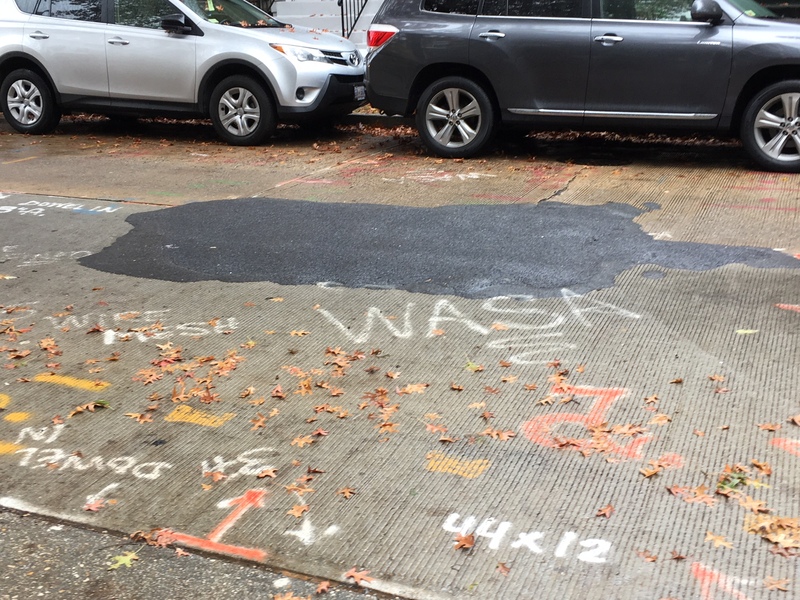 I reported the failed temporary road repair to DC Water, and that was also quickly addressed. 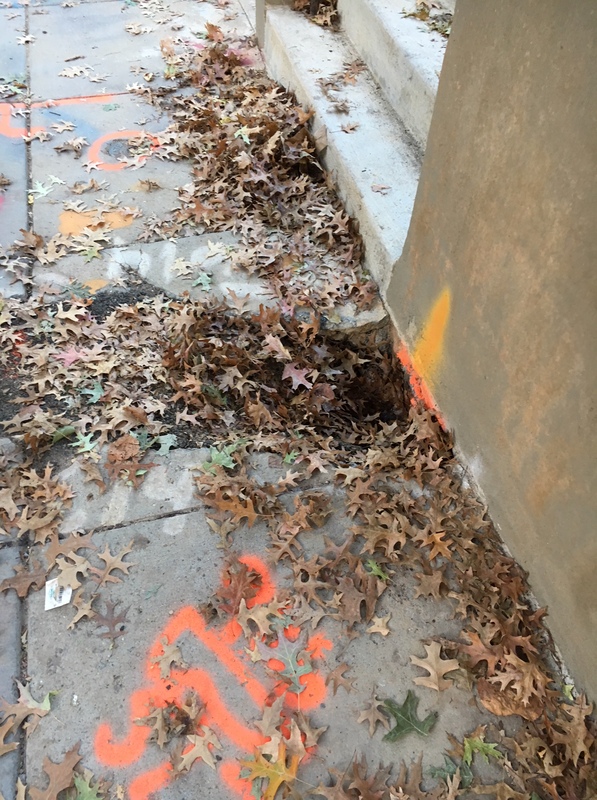 In contacting DDOT on Saturday, they confirmed that the street issue was due to a DC Water excavation that is roughly 4′ x 5′ in the concrete roadway, and that it had been repatched within 8 hours of their inspection. DDOT observed no excessive roadway vibrations or noises at that time. They also shared that the area appears to be marked for permanent restoration with a permit that expires on December 2, 2017. Below, before (top) and after (bottom) photos of the asphalt patch on Kenyon. Work on the 600 block of Park Road. DC Water’s replacement of existing 12-inch and smaller cast iron water mains on Park Road and Morton Street is moving along. The mains have been replaced on the 400 block of Park Road with work continuing on the 500/600 block of Park Road. Work has not yet begun on Morton Street. Construction may last through April 2019. DC Water’s efforts will help improve water quality and system reliability, increase water pressure in some areas, and maintain adequate flows throughout the system. After visiting the construction area on Park Road, it appears that we’re getting some new sidewalks out of the effort as well. This should be a temporary benefit, however, as the sidewalk abutting Park Morton should be reworked in the future as part of that effort as well. 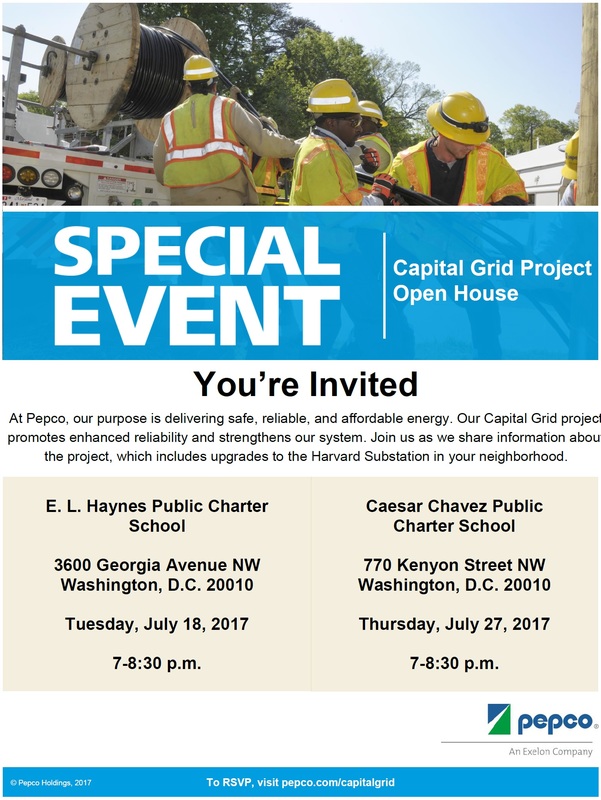 Pepco is scheduling two open houses where we will share information about their Capital Grid project, which will impact Georgia Avenue and other parts of the neighborhood once it gets underway. The project is a 10-year infrastructure plan that is designed to improve reliability across the system, address capacity needs in the growing Capital region, and make the system less vulnerable to strong storms and other unexpected events. The Capital Grid project includes rebuilding and upgrading the Harvard Substation at Harvard and Sherman. Their first open house will include a formal presentation at E.L. Haynes Public Charter School on July 18th (see flyer below). 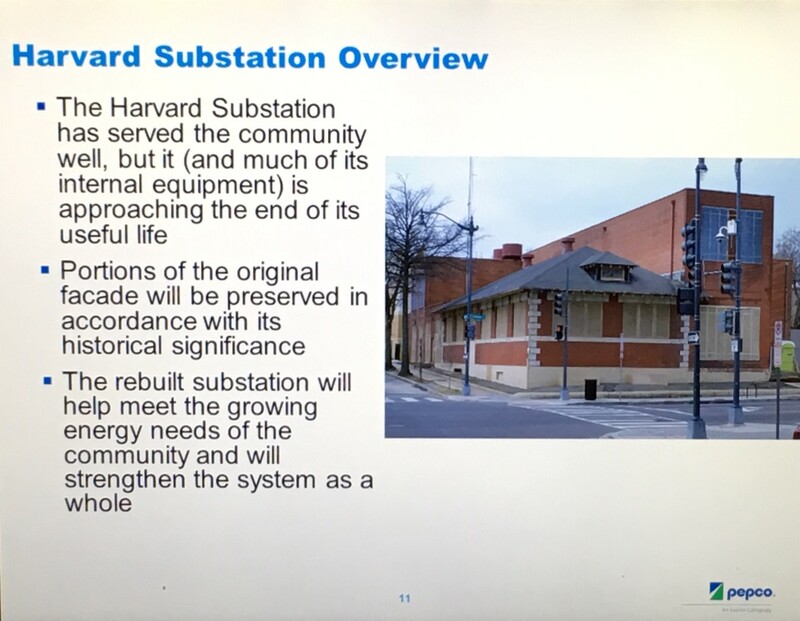 After the presentation, there will be an opportunity to speak with Pepco experts about the Harvard Substation construction and learn more about how it may affect the neighborhood. Renderings of the upgraded substation and other components of the project will also be available. 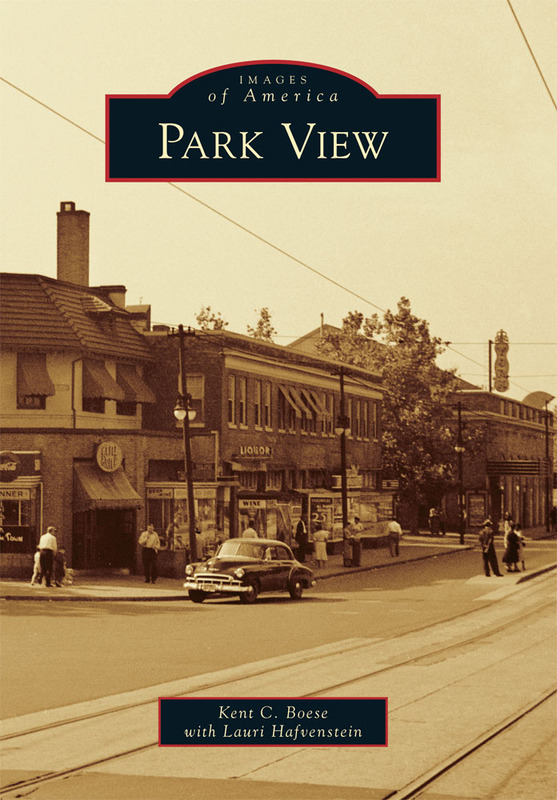 Yesterday, DC Water announced that as part of its Capital Improvement Program, they will be replacing existing 12-inch and smaller cast iron water mains in various locations throughout the city, including the Park View neighborhood. Construction is scheduled to begin in July 2017 and last through April 2019. These efforts will help improve water quality and system reliability, increase water pressure in some areas, and maintain adequate flows throughout the system. 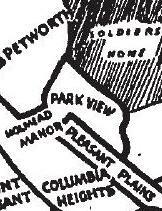 The streets impacted in Park View can be found on the map below. Read the full announcement here for details on days and times of construction and how they plan to notify residents when parking will be impacted. 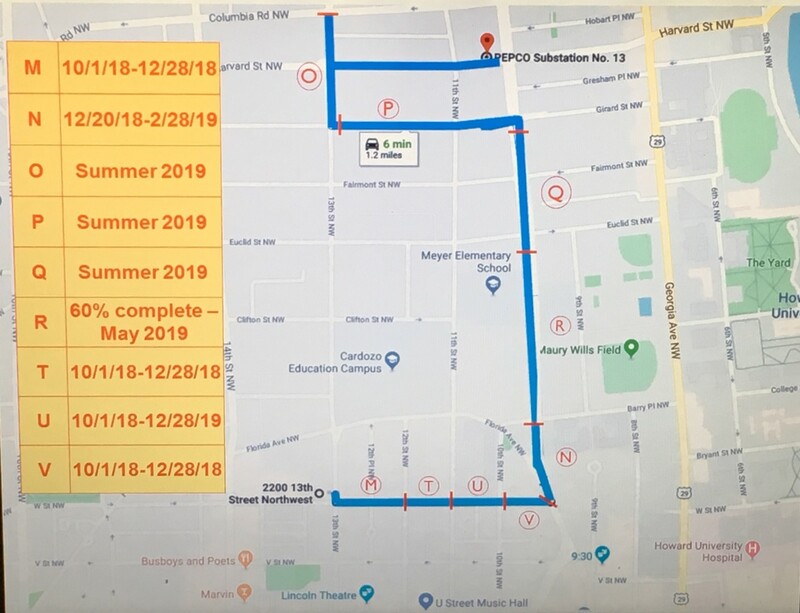 For anyone who uses North Capitol Street, here is a heads up that was released yesterday stating that work to resurface North Capitol has begun and is expected to take 4 weeks. The impacted area is from Florida Avenue (south) to New Hampshire Avenue (north). North Capitol is a convenient way to or leave the neighborhood to many points south, so this is sure to impact area drivers during this period. (Washington, DC) – The District Department of Transportation (DDOT) will begin roadway resurfacing on North Capitol Street today, May 16, weather permitting. 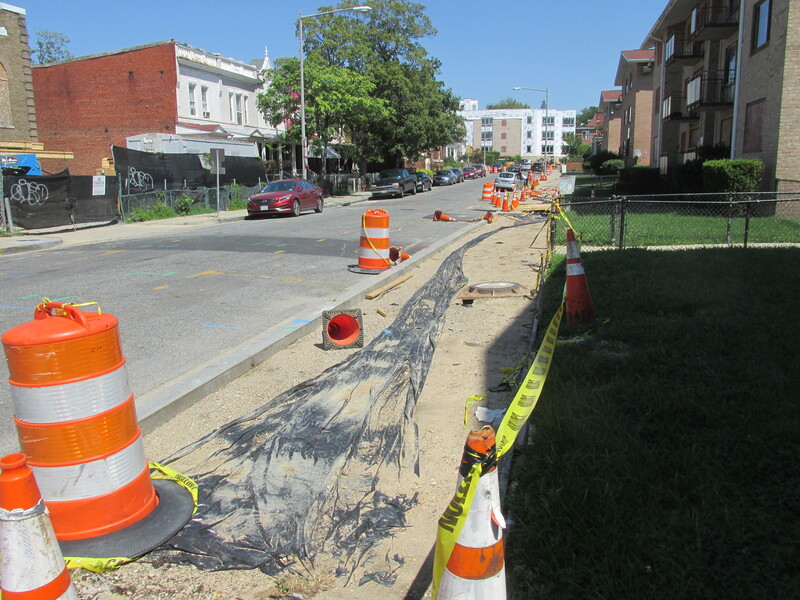 The work, to be conducted from New Hampshire Avenue NW to Florida Avenue NW, is expected to take 4 weeks to complete. Work will generally be conducted from 9:30 am to 3:30 pm, Monday through Friday; and 7:00 am to 7:00 pm, Saturday; however, certain sections will be worked on from 9:00 pm to 5:00am, Monday through Friday. During construction, at least one lane will be open in each direction. Curbside parking will not be available on some sections of North Capitol Street during work times. Parking restriction signs will be posted 72 hours in advance at locations where parking will not be allowed. Each sign will list the duration of the restriction and the engineer-in-charge’s contact information. Variable message signs will be in place to guide motorists. DDOT encourages all motorists traveling through the work zone to stay alert. Mayor Bowser at the kickoff of the 2015 Potholepalooza. Mayor Bowser is kicking off the 2017 Potholepalooza today at 10:30 a.m. Potholepalooza is the annual campaign to speed up pothole repairs throughout D.C. by responding to service requests within 48 hours for 30 days. This year’s launch will be at the 2200 block of 19th Street, between Kalorama and Columbia roads, NW. Mayor Bowser will be joined by Jeff Marootian, deputy director of the D.C. Department of Transportation for the launch. Residents are encouraged to report potholes by calling 311, utilizing social media or contacting the city through online forms and emails. Visit the pothole repair site here and request repairs here. After rethinking the decade-old project, Howard Hughes is ready for the next bureaucratic step — but it waits on an answer from the city on a financing package.